This 9 hour tour combines the best of both worlds: the highlights of historic Florence and a taste of the charming Tuscany countryside. Start the day with a leisurely hour drive from Livorno to Florence. Once in Florence, explore its myriad attractions with your driver: Piazzale Michelangelo, Piazza Signoria, Duomo, Long River, or if you prefer, the Accademia Museum. We suggest 3 hours of sightseeing in Florence, but you may adjust this depending on how much time you’d like to spend exploring the countryside. Upon leaving Florence, take a leisurely 30 minute drive towards the Tuscany region, famous for its soft rounded hills, the medieval architecture of the villages and the silver green of the olive trees, contrasted with the dark green stands of cypress trees. 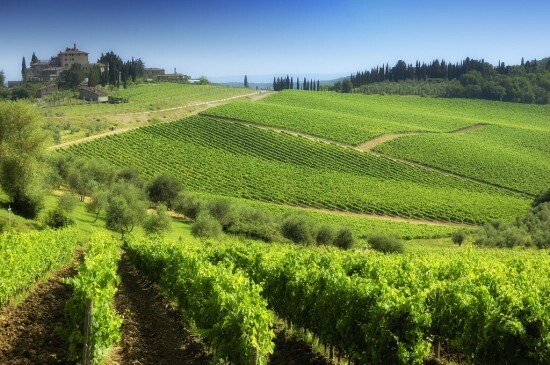 Stop at Greve, an enchanting small town famous for being the capital of the famous Chianti wine. Your driver will lead you to the central square where you can relax visiting the small shops. For lunch your driver will suggest a typical trattoria in a winery to taste excellent wines and the local flavors! After a wonderful day taking in the historic sights of Florence and the charms of the Tuscan countryside, head back to Livorno port in about one hour and a half drive with full bellies, a happy heart and great memories..